Before creating the user, create a new role with publish_products permissions. You can do this with a plugin like Capability Manager Enhanced to edit WordPress roles. You can set very granular permissions by creating a new user role. Kit Builder only creates a product so it doesn't need permissions to read or write anything else. 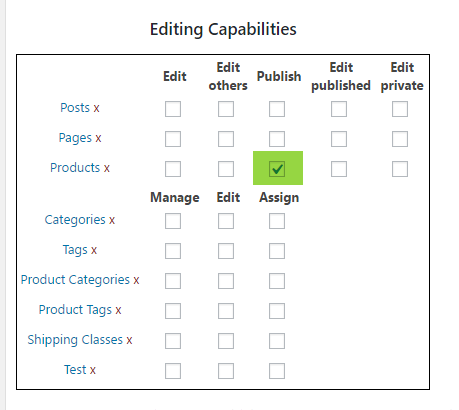 Use Capability Manager Enhanced here, but any role editor should do. Click Plugins > Add New in the WordPress admin menu. Enter any username e.g. "Kit Builder"
Set Role as "Kit Builder"
Check Enable the REST API is checked. Click Keys/Apps under the tabs. Select the new user you created (e.g. 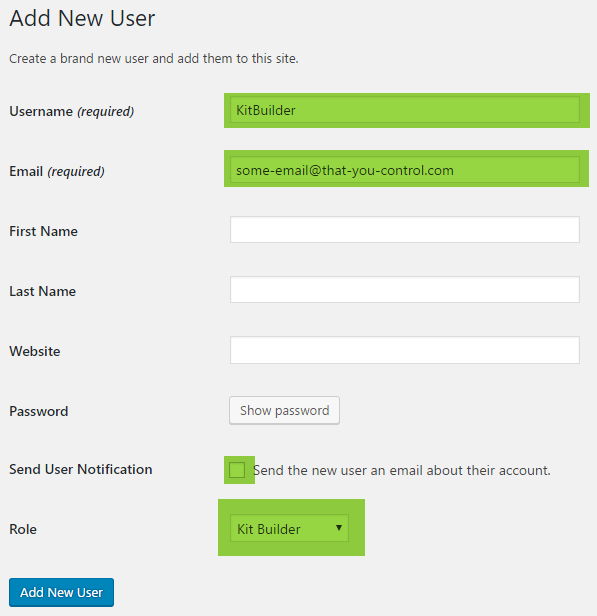 "KitBuilder"
Enter the base URL of your website into the Kit Builder backend. Include the https://. It doesn't matter if there is a trailing slash or not. Update the boxes above with the consumer secret and consumer key from stage 2. Insert the new distributor code generated from the 'WooCommerce Settings' tab in Kit Builder backend. If you have any issues when inserting the Kit Builder into your WooCommerce website please let us know click here. Remember to include as much detail as possible & a link to your website.